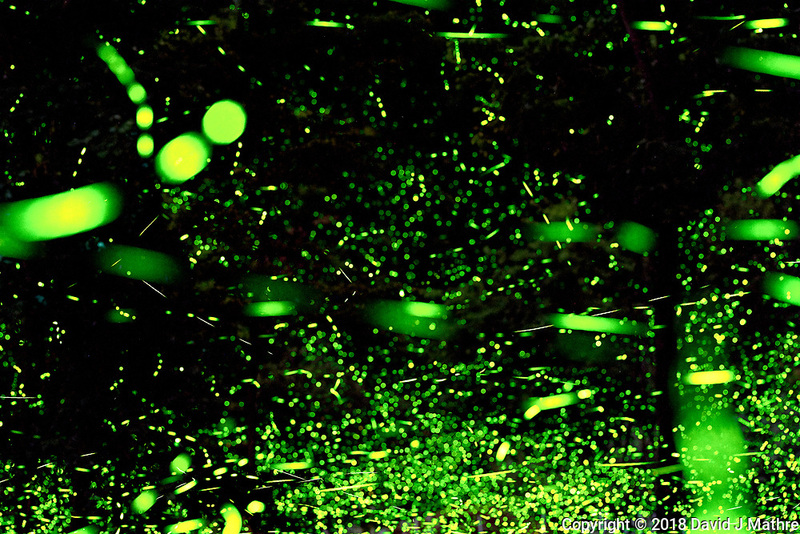 Firefly Trails. Composite of 551 images taken with a Nikon D5 camera and 200 mm f/2 lens (ISO 1600, 200 mm, f/5.6, 30 sec). Raw images processed with Capture One Pro and Photoshop CC (statistics, maximum).